Many businesses across the world lose a lot of data due to data corruption, disk failure, accidental deletion, system failure, and cyber-attacks. It is difficult to prevent data loss if you store all your data in a single disk, especially if your business handles a lot of data. Some companies have decided to invest in data recovery technologies, but some data recovery applications are ineffective when the data is overwritten or shredded. In addition, softwares require frequent updates, they slow down your system and some have malicious codes which might steal sensitive information. Nowadays storage devices have become cheaper due to improvement in technology. There is no need to buy data recovery software since you can easily backup your data in different types of storage medium. Data backup will enable you to access copies of the original files if your system accidentally fails or if there is a cyber-attack. Cloud storage has become popular over the last decade. Many big companies such as Google and Apple have invested a lot in this kind of storage. Most websites and mobile apps use this storage since it is cheaper than setting up your own server farm. Top Cloud storage companies include DropBox, Google drive and iCloud. You can sign up for any of the storage giants and subscribe to a package that will meet your demands. a) Companies with End-to-end Encryption keep your data secure from hackers. b) Easy to upgrade your account for more storage. c) Can be accessed from anywhere in the world provided you have internet and login credentials. d) Some companies offer free accounts while others offer free trial for the first few days. a) Cloud storage requires monthly or yearly subscription. b) Some companies have robots that spy on your data. c) You require internet connection to access your data. Card readers are widely used on smartphones. There are many banking and business apps which store sensitive information on your phone. Therefore, you need a card reader which can keep your data secure. Check the best card readers on the market for secure payment. The cost of card readers depends on the manufacturer and storage capacity. b) Most of them are secure. b) Some models are slow. 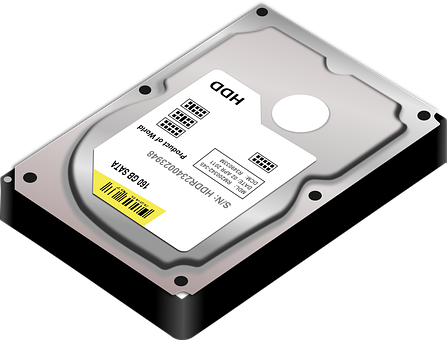 Nowadays, external hard drives are cheaper and have a larger storage capacity. Latest ones come with USB 3.0 cables which offers faster data transfer than USB 2.0. most of them are wired but some new models come with Bluetooth and other wireless capabilities. b) No configuration is required. a) They can get damaged if not handled carefully. b) Some models, especially solid-state drives are expensive. Flash drives are connected to the USB port of a computer and the files are scanned and displayed within a few seconds. They vary in size, shape and capacity. They can fit in your wallet, pocket and some models can be attached to a chain or a key holder. Flash drives are perfect for data backup, especially if you want to carry your files anywhere you go. The ease of use makes it suitable for file transfer from one computer to another. The speed of the drives varies depending on the manufacturer and the drivers. c) Cheaper than most storage devices. a) Some companies disable USB ports to restrict the use of flash drives. b) They can get lost. c) USB drives get damaged when not stored properly. Network attached storage is perfect if you want to backup data in a different geographic location. Configuration is needed to make your computer to communicate with the data server. This means that you have to hire an expert if you can’t configure the system on your own. There are various types of optical disks. The common ones are CD-ROM, CD-RW and DVD. A CD drive rotates the disk while writing or reading data using a laser beam. If you decide to use this storage to backup your data, ensure that you keep the discs in a dust free and safe location. b) Someone can’t rewrite or modify data that is stored on a CD-ROM. a) Requires a CD drive. Most new laptop models don’t have a CD drive. c) Data can become inaccessible if the disks are not stored or handled properly. Data backup is important in any business. There are a wide variety of storage devices which can store your data permanently. The commonly used storage medium includes flash disks, cloud, CD/DVD, and NAS storage. Consider the size of your data, security, portability and price before selecting a data backup medium. It is wise to back up data in at least two different storage medium to prevent data loss. Backup disks should be in a different geographic location to keep data safe from natural disasters such as earthquakes, floods, fire and hurricanes.